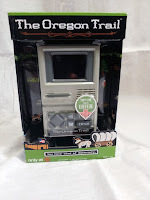 Home / family / News / tech / toys / unboxing / video / videogames / Play the Oregon Trail while you are on the Oregon Trail. 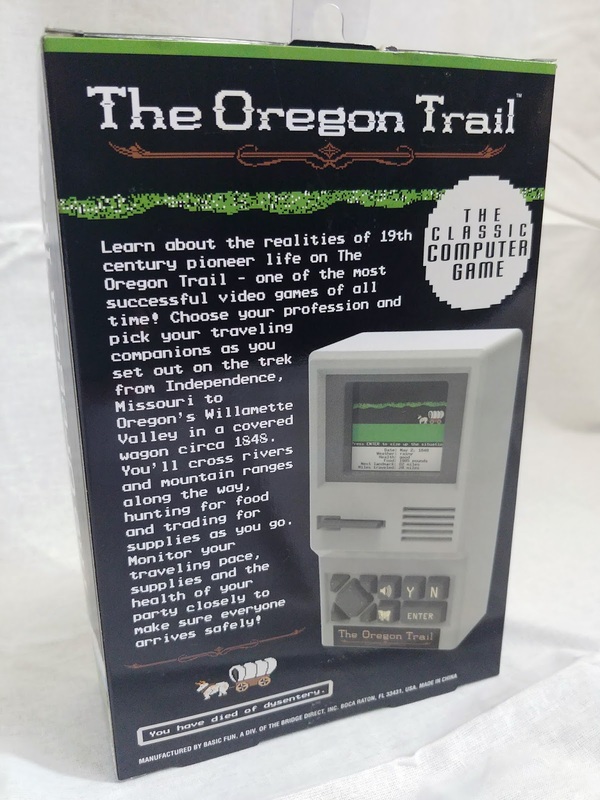 Play the Oregon Trail while you are on the Oregon Trail. Some adventures can last a life time, or even multiple lifetimes in the case of the adventures in the old west. The Oregon Trail was first released in 1974, the original game was designed as an educational tool to teach school children about the realities of traveling to the west by wagon back in the 19th-century. Here is a spoiler, often things went bad. Very bad. This text based computer adventure, supplemented with rudimentary graphics has seen many variations since its original release and there is even a card game available. 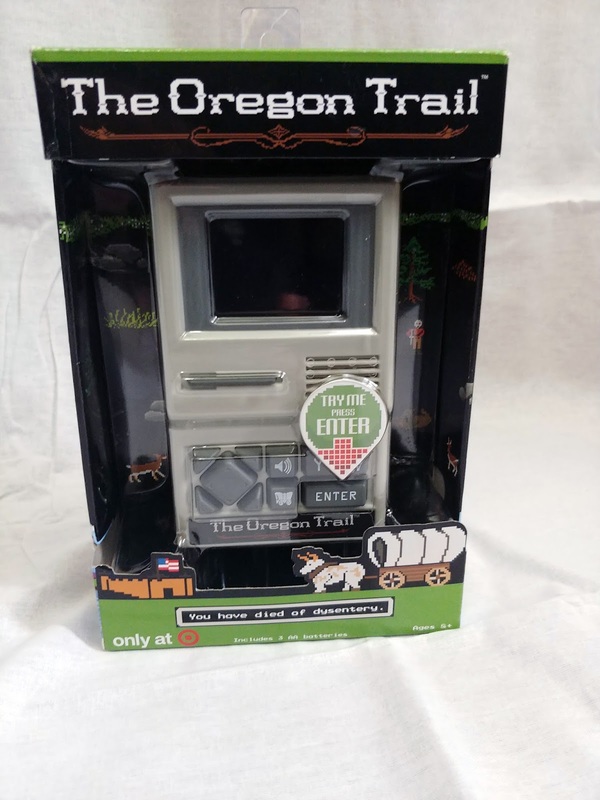 And now Target has released an exclusive handheld device of the Oregon Trail in all its original nostalgic glory. The handheld version at Target is created by Basic Fun Toys and for the low entry price of $24.99 it delivers the complete experience with a modified version of the 1985 release of the game. 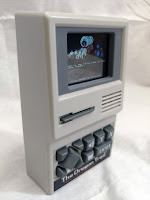 With a design clearly inspired by the Apple II it looks a little clunky, yet charming at the same time including that classic beige/grey 80’s plastic. The large bulky buttons are customised and clearly labelled. The game itself is presented with all the bells and whistles of the original, full colour scenes, the original sound effects and music, hunting for food, and it even has a save function. For those not familiar or those who have forgotten about the game, here is small overview of what to expect. you start with deciding your profession and while the adventure is equally dangerous there are reasons to pick one over the other, a banker has more money than a farmer for example, but the farmer will get more points for making it through the trail as it is harder to fight of the perils on the way with less money. Once you pick, you get to name your leader and 4 family/party members, once you spend your money on supplies you can be on your way from station to station where a series of random events, combined with your choices will determine if you make it through each stop unscathed or if misfortune befalls you. Can you make it all the way through the Oregon Trail? The overall presentation of this version of this game is destined to bring a smile to your face that will transform into a full-on ear to ear grin as you encounter your first case of dysentery. Nostalgia aside it has also intrigued the tech wizards out there in the internet as they are trying to figure out what kind of chip this is running on, who knows, maybe there are some crazy mods on the way!? Until that time enjoy this wonderful trip down memory lane and share some wild travel adventures with your family. So now where in the world is Carmen Sandiego?